SAN ANGELO, Texas — Officers with the San Angelo Police Department’s Street Crimes Division on Tuesday, directed a traffic stop on a Honda Accord occupied by a wanted subject in the 700 block of McCann Street. During the stop, officers identified Gabriel Lopez, 33, who was wanted on warrants of arrest for unauthorized use of a motor vehicle and going off bond for criminal trespass of a habitation/shelter/superfund/infrastructure. The driver, identified as Robert Perez, 41, was wanted for parole violation. Pursuant to the field investigation, Street Crimes Division investigators found and seized approximately 34 grams of suspected methamphetamine, along with narcotic distribution paraphernalia. 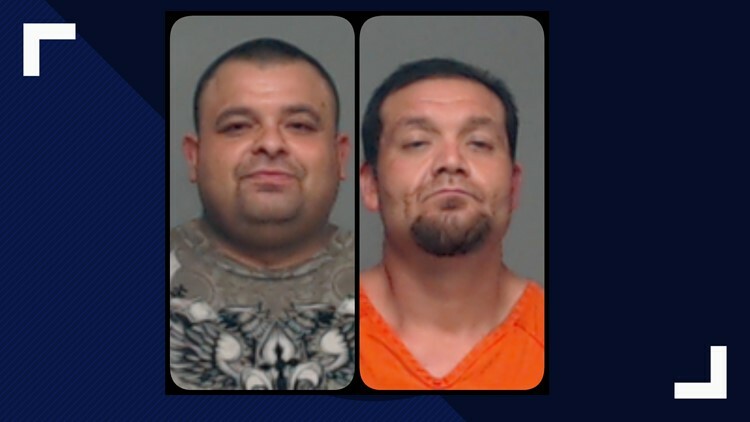 Lopez and Perez were arrested for their warrants, and Lopez was additionally charged with first-degree felony manufacture delivery of controlled substance Penalty Group 1. The SAPD’s Patrol Division assisted with Tuesday’s operation.